Knotted Cotton: Got my ticket! My second was with Fiona, who taught how to make this beautiful quilt which she designed and had published in Creative Quilting. This resulted in Big Red Triangles. Both teachers were lovely and are coming back this year. Maybe I will see you there! I want to go! It looks amazing. Maybe in a couple of years when I move up to Edinburgh anyway. They are all lovely, Catherine, looks like you are a star pupil!! 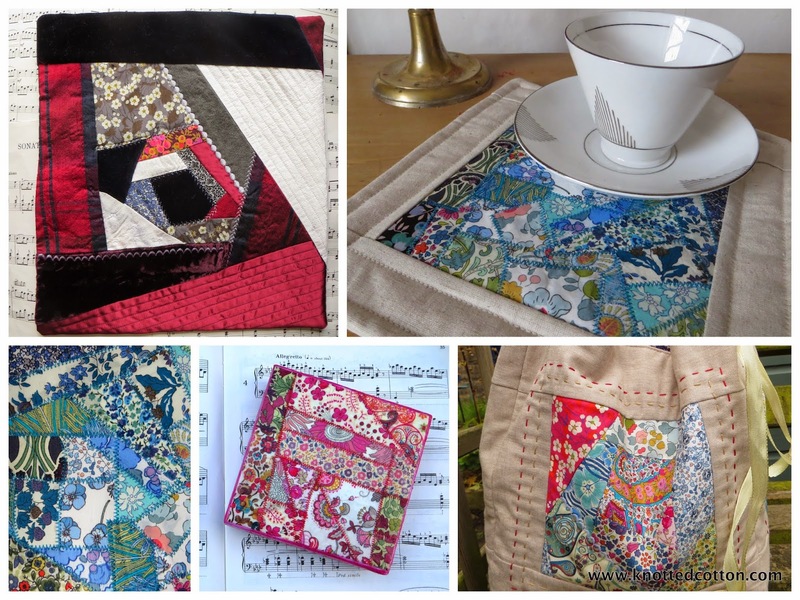 I am in love with your crazy patchworks with all those li'l scrumptious Liberty prints. Love, love, love the blue!! Still debating whether to go, your projects are definitely a.great advert for the gathering! how I wish I could go! Looks as if it is a great meet.